January is almost over, and I still haven’t gotten my groove back. We took a quick vacation right after the holidays, and despite my plan that the trip would recharge my will to keep living after the build up and let down of the season, it served only to throw me off. The kids have so much going on after school every day and on the weekends, and the cancellations / scheduling / rescheduling are unrelenting. I’m spending half my time reshuffling the calendar and trying to work out logistics again, and the other half wondering why anyone bothers with a schedule at all. A set routine is a pipe dream, a distant memory. I have had a cold for almost two weeks; the amount of mucus that flows from a body is staggering. A groove is difficult to get back when you’re sitting around with tissues stuffed into your nostrils. Last, and highest on the list: I have loads of free time and I’m using it to procrastinate. The house is dirty and someone hit my car in a parking lot and I haven’t yet had it looked at and oh, hey, there’s three feet of snow on the ground. Our garbage can is under there somewhere. You know, tomorrow is another day. I’ll find it then. Priorities. I am having trouble with them. There are no projects on the horizon, just daily things. Nothing pressing, nothing of high importance. Just the normal chugging of normal life. The 24-hour stuff. Nothing big, nothing small. Just – normal. I’m letting it all slide. Because it’s dumb stuff and nobody cares about whether or not it gets done, and life will keep chugging along even if these things are left undone. I used to care more about these things. Is this what people mean when they say “I’m bored” ? Because I never thought I’d be. I’m not one of those people who need constant entertainment. I can spend a week inside and not feel as if I have nothing to do. There is always something to do. I can rip up a carpet, paint a room, purge unwanted items, clean the fridge, organize closets. There is no way I could find nothing to do. But all those things – eh, they can wait. I’ve got this big book about Paris to read. The kids are off school today – first snow day of the year – and they keep producing laundry. I’ll do that, and eventually I will also make dinner, return a phone call, watch more TV. My mojo has stalled. I’m unfocused, lackadaisical, who cares-ish about things. The machine is running well enough without my superpowers, which I’ve learned really aren’t so super after all. It’s easy to lie low when you’re feeling a little blurry around the edges, a little slower than usual and everyone else around. Eventually I’ll get back into the swing of things – I always do. There is comfort in knowing yourself this well. But for now, I’m just sort of – being here. Doing laundry. Getting over this cold. Procrastinating. Keeping an eye out for my mojo to return. It's here, somewhere. 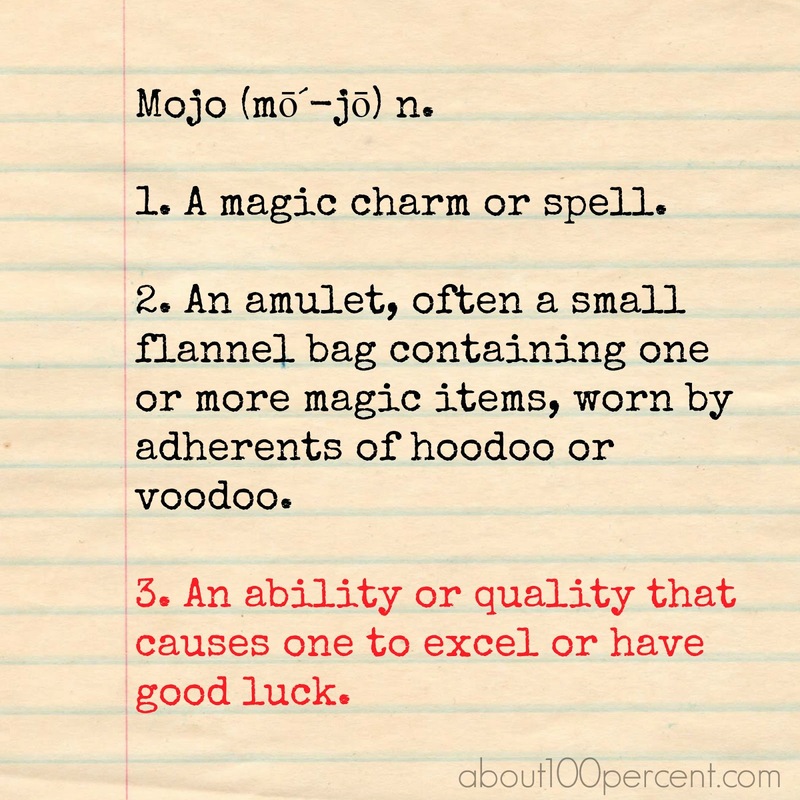 If you find your mojo, maybe you can point me in the direction of mine. They are probably off having margaritas together. Those darn mojoes, always doing something fun without us. Maybe your body is just telling you to hang out and rest to get rid of that cold. 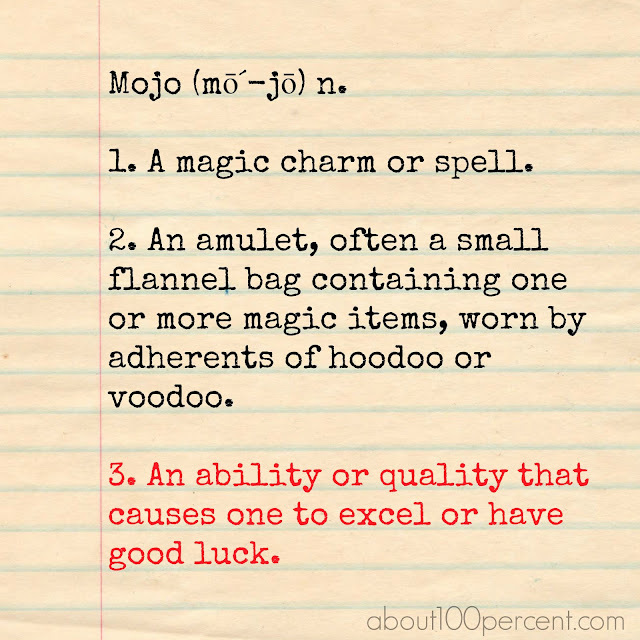 When you're ready to welcome your mojo back, you will. I'm struggling with finding some sort of schedule to stick to too. And I don't have kids to cart anywhere, so no excuses for me! I'm convinced it's the ennui of winter. Otherwise known as the jerk-ness of January. Either way, resting and hanging out have become the things I am best at doing. Oh man, I can so relate to this. It is a case of the January's as I call them. I am going through it right now. Get in the car and drive west. We can meet in the middle and then drive south with Shannon and get that margarita. It's on. You do know that a road trip is exactly what I need right now, don't you? And a margarita. I also stick tissues in my nostrils when I have a cold. Please let me THANK YOU though for saying "lie low" instead of "lay low." As far as I'm concerned, you need do nothing else for January to be a win. You're welcome. I almost wrote "lay low" because that's how people say it. But I don't.